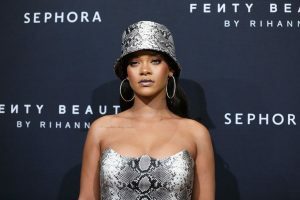 Fenty Beauty fans rejoice – Rihanna’s announced that her best-selling beauty line is launching its first ever highlighter palette. Fenty Beauty unveiled its new seven-shade, Killawatt Foil Palette, which is the first product from the upcoming Holiday Chill Owt collection, on Instagram. Described by the brand as “7 icy hot hyper-metallic shades to glo’ up your eyes and cheeks this holiday season”, the highlighters are said to have the “same cream-to-powder formula y’all love, with vibrant pops of color made for every skin tone”. Excitingly, the palette is confirmed to feature all new shades: Subzero, a ‘supercharged iridescent blue’, Stone Cold, a ‘supercharged icy pink’, Chillz, a ‘supercharged iridescent baby blue shimmer’, Heart Burn, a ‘metallic plum shimmer’, Coppin Ice, ‘a supercharged copper’, Hunny Slope, a ‘metallic pumpkin shimmer’, and Scandal’ice, ‘Supercharged Iridescent Lilac Shimmer’. Having watched the swatch video, they definitely look certified to deliver an awe-inducing glow. Easy to apply, the product looks super blendable, illuminating the skin and catching the light from every angle. 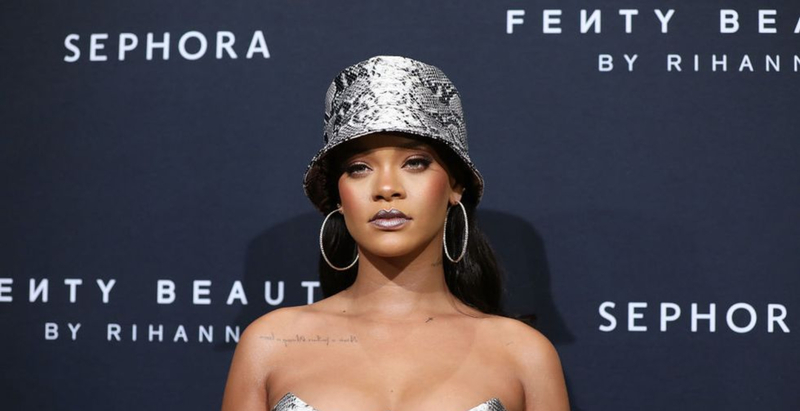 Currently on her Fenty Beauty tour in Australia, Rihanna unveiled the product in Sydney where it’s already available for purchase as well as New Zealand. However, those wanting to buy it immediately in the UK, where it will be priced at £42, will have to wait as it doesn’t launch globally until 12 October. You’ll be able to purchase it from Harvey Nichols either in-store or online. Did your Christmas list just get a lot bigger?